Now that the CDDC is over, things got a little back to normal. Just a little. 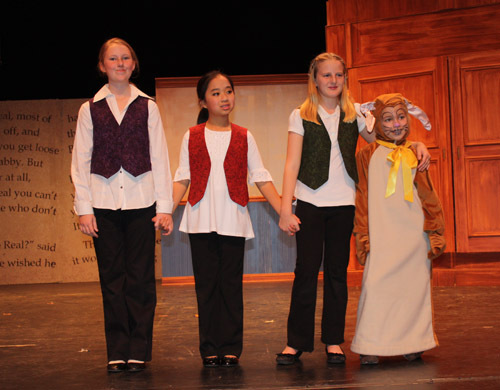 I was busy designing and sewing 1920’s style dresses of my daughter’s elementary school play- the Velveteen Rabbit. They turned out cute- I had a lot of fun doing the research. I will have a shop there with Madeleine Rose Couture. I have been busy revamping my website, adding Paypal buttons for shopping ease and streamlined the navigation. I love the new look and feel of it. So CDS has proposed a challenge to the merchants;A Red Carpet challenge. It won’t be judged (darn! just kidding) but I love a good challenge. I can’t give all the details at the moment(like when all this will take place) but I can share the challenge at the moment. You will all just have to check back with me and the CDS blog to find out more. Besides Fashion Week, one of the most important fashion events is a Red Carpet event. Yes, no matter which award is being presented, all eyes are really on the fashions worn at these events! 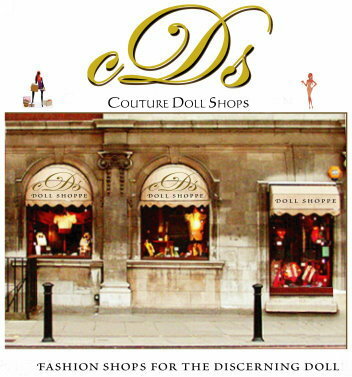 Now is your chance to have many eyes from the doll world on YOUR fashion!! Never underestimate the power of the internet, dahlings! Pull out your best silk, satin, or whatever you think “makes” it on the Red Carpet! You are going to be offering up a NEW item, and you are not going to have a long time to make this item. But you will have as much time as the CDDC designers had for those challenges; it can be done – so no excuses, my pretties!! The hot color we’ve seen on the Red Carpet this year, to date, has been purple. And purple is the MAIN theme color for this event. Now don’t go turning up your noses, divas, because there are lots of colors in the purple family – from burgundy to lavender – so there is bound to be one you can adapt to a vision I know is brewing in your delightful design mind! AND, to aid you while still enabling me to line up this collection by color, I’m also going to allow you the use of luscious creams and/or blacks to be used as an auxiliary color. Auxiliary means either/or cream or black; and that either color cannot overpower the base color! Any questions, please email me, because I do NOT want anyone disqualified. Remember, this is for fun and to help us open our shops with a bang! ALSO, for this event your model will be untraditionally traditional. I already know each of you has an untraditional style, but I would like you to create the traditional long gown – your models are NOT going to a cocktail party. Let your presentation represent YOU……..but just in a loooooooooooooong version! There is to be NO JUDGING of your outfit of any kind!! So no inside views, AND if you are an OOAK artist, you may present your item as such – non-removable fashion is the norm in the OOAK venue. If you just sell furniture, trot out a piece; and the same thing goes for shoes, wigs or jewelry. From toddler to high fashion and anything in between – every effort will be made to put YOU, our shop owner, in the spotlight on this particular runway!! Each of you will see your doll actually “come down the runway” thanks to the magic of our photography specialist; Larraine. She will truly work her magic to put these designs in just the right setting! That is why we have specific guidelines, and pictures that do not meet the criteria will be returned to you, and no one really wants that to happen – so please listen up!!! So am I up for it? You Bet! !